Our Christian school, American Christian Academy, participates in the Box Tops for Education program. We invite you to save your box tops and drop them off in the box on the side table in the main church building. Our school thanks you for your support! 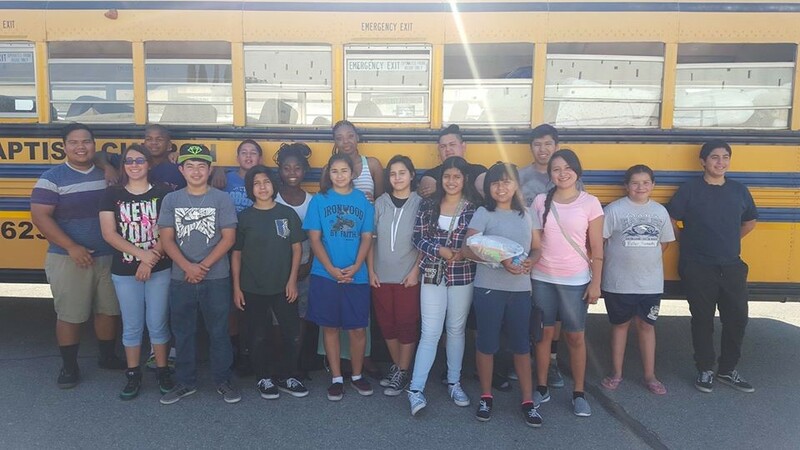 Our teens have special get-togethers all year round, as well as attend youth rallies and a week long teen camp during the summer! Come check out what our teen ministry is all about! Bible memorization! Bible stories! Games! Adult Bible study 7-8 p.m.
Would you like to bless an AWANA clubber? You can sponsor an AWANA clubber for $15 for the year. Call the office if you're interested! We have several activities planned throughout the year and we also visit our shut-ins, Thanksgiving/Christmas baskets, and outings. Come and see what we're all about! We will meet at 2pm and will finish by 3:45. If we are going to reach Pomona for Christ, it will take more than just a few people participating in this endeavor. Come out and have an awesome time and be blessed witnessing for Jesus! Attention all College & Career people under the age of 30! A new Sunday school class has started led by Luis Rodriguez, one of the deacons of our church. The topic covered is "Thinking Biblically" in today's society. We meet in the conference room inside the Paul Carr Auditorium. Free coffee and fellowship before class starts! © Copyright 2018 Central Baptist Church, Pomona CA.